We are proud to announce that High Brow Cat has reached another million-dollar mark in his career as a sire! 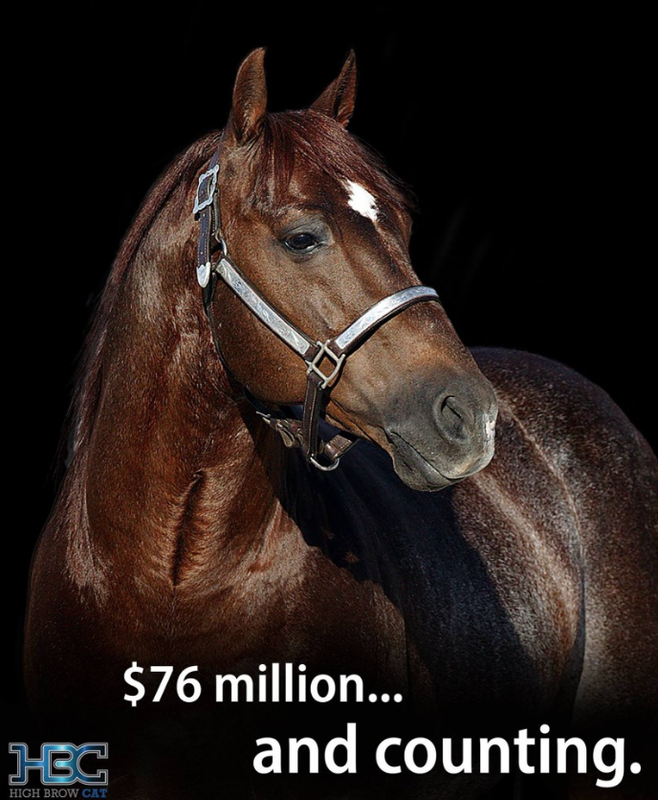 Equi-Stat recently reported that he has passed the $76 million milestone, steadily maintaining his rank as the All-Time Leading Cutting Horse Sire. Thank you to all of the dedicated breeders, owners and trainers that continue to invest in High Brow Cat!